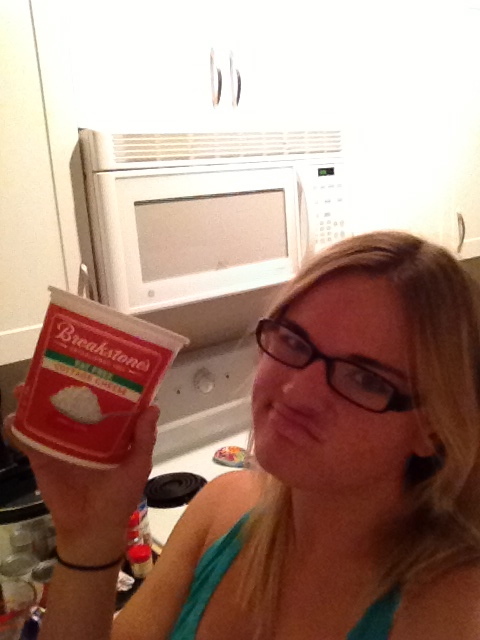 Cottage cheese and I have never really gotten along. My mom has been telling me for years how much she thinks we would be compatible, but I have been ignoring her. About a month ago I decided to give cottage cheese a chance, every type of food deserves a chance, I guess. Plus I had read in Runners World that cottage cheese helps muscle recovery if consumed before bed. First I tried blueberries in my CC, then I tried peach slices, pineapple…I even tried it in smoothies. All of it made me gag. 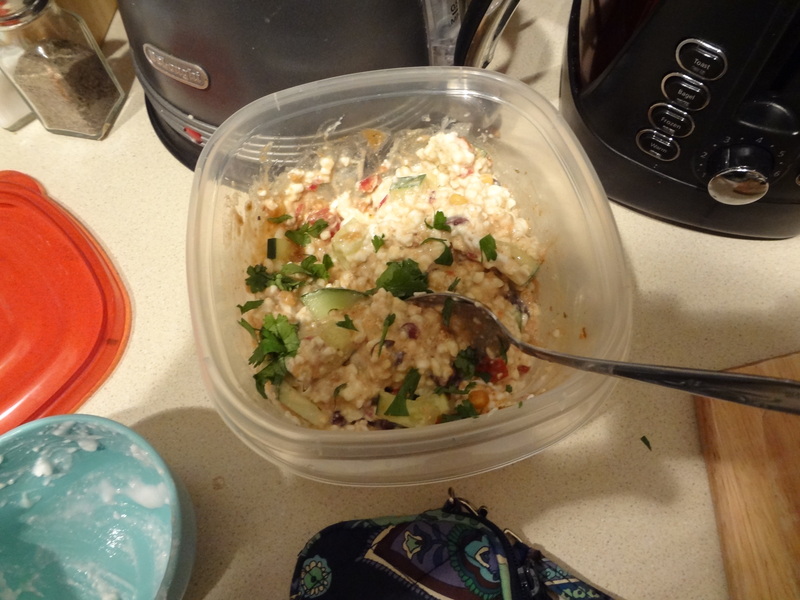 Finally, cottage cheese blew my mind and tasted amazing in this recipe from my favorite cookbook (Weight Watchers Power Foods). This recipe is not only awesome because it tastes awesome…but also because it involved few ingredients and many times you may have these ingredients on hand…always a plus. 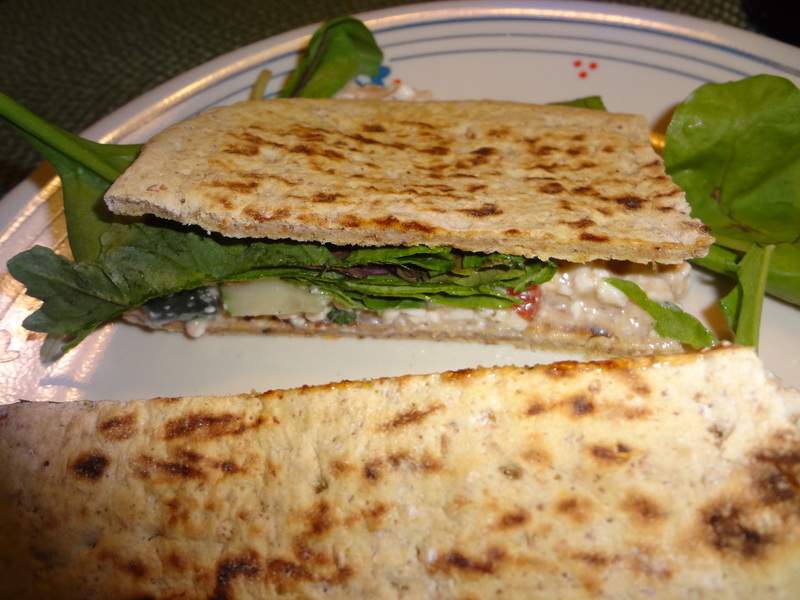 2. add to pita bread, flat out, sandwich bread…use as a dip with pita chips, sliced veggies, or add to a salad for some added protein! I now know why Weight Watchers doesn’t put a picture of this in the cookbook! 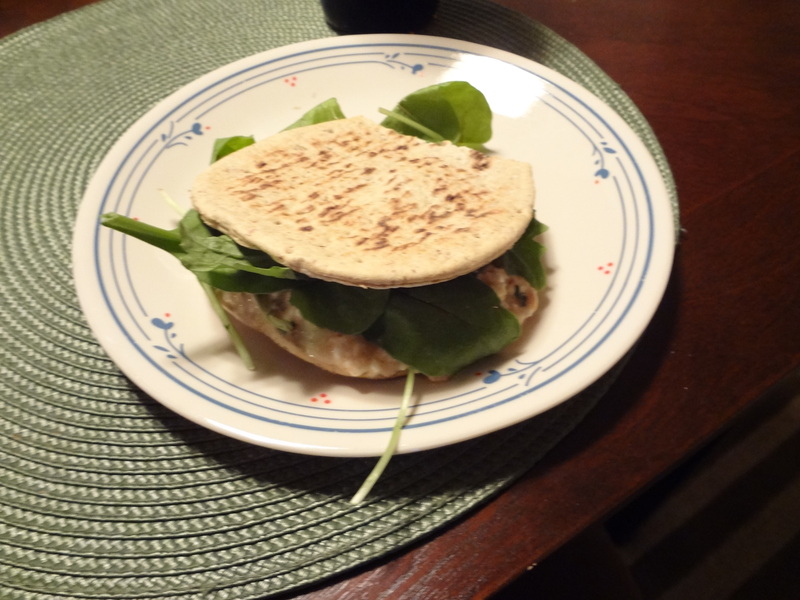 It may not “look” good…but it is delicious! 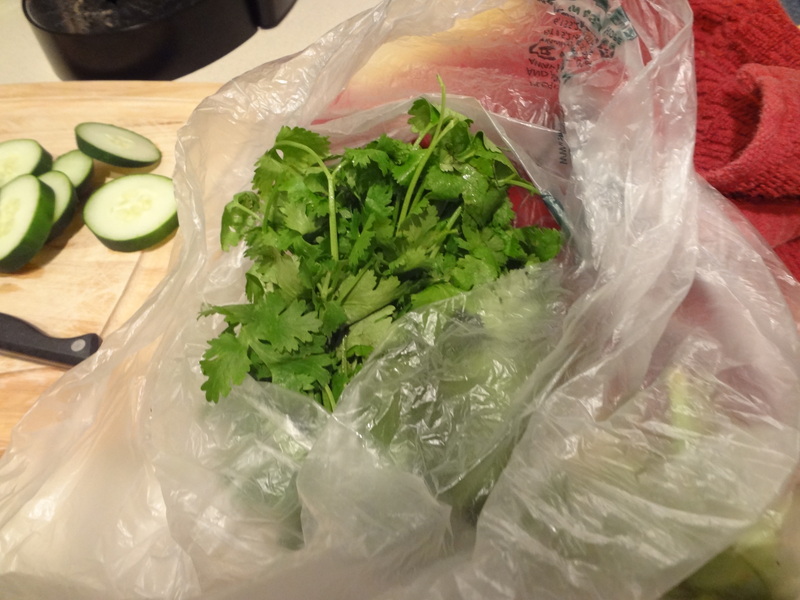 Sometimes I try and skimp on fresh herbs, but the fresh cilantro is a MUST for this recipe…do not skip! 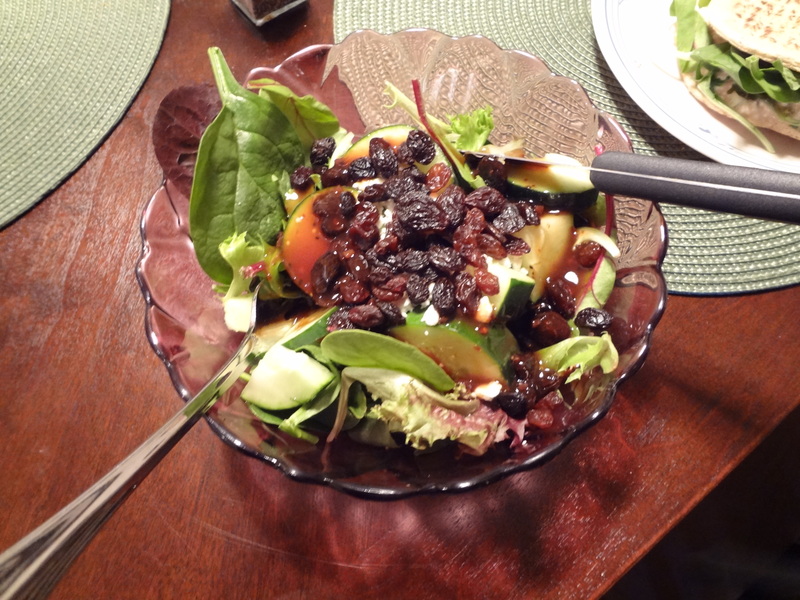 Goes great with a salad on the side…I have this new obsession with adding raisins to pretty much anything…salads want them too. This sandwich photographs better from this side, we all have our “best” side. A bonus! If you ever thoughts cottage cheese was disgusting like me, another way to try it is for dessert…yes, I said CC for dessert! 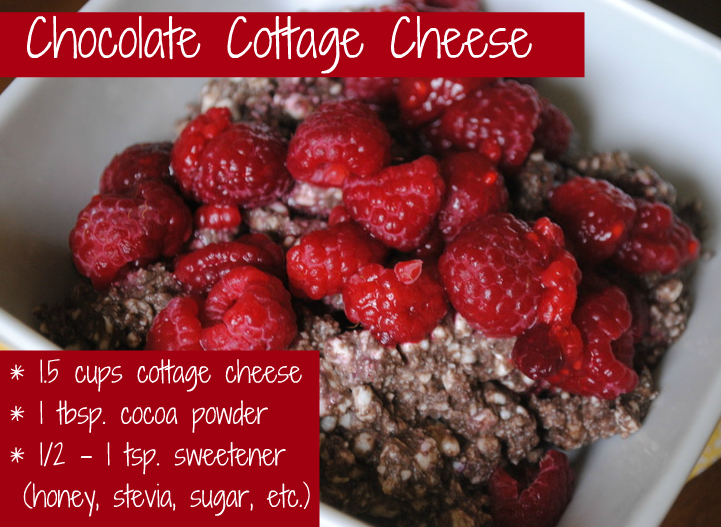 Check out my favorite blog Peanut Butter Fingers Chocholate/Raspberry Cottage Cheese it is fantastic! What weird things do you put on salads? ?